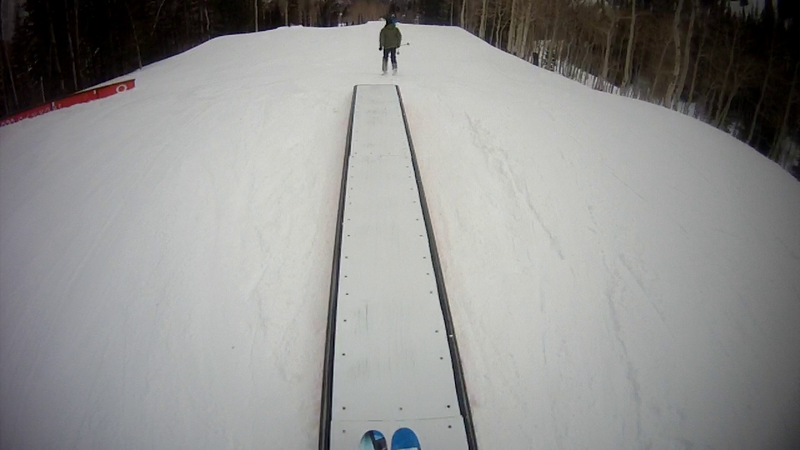 After some simple tables and rails, we came to some nice jumps, about four in a row. 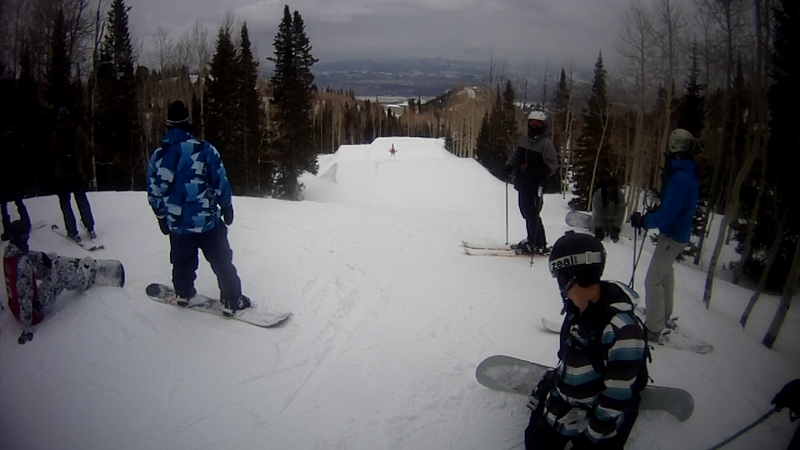 I was able to capture a guy ahead our group turning a front flip off the first jump! Of course I didn’t do anything so fancy when I went over, but that’s more than I can say for the guys in the group who just went around the sides! 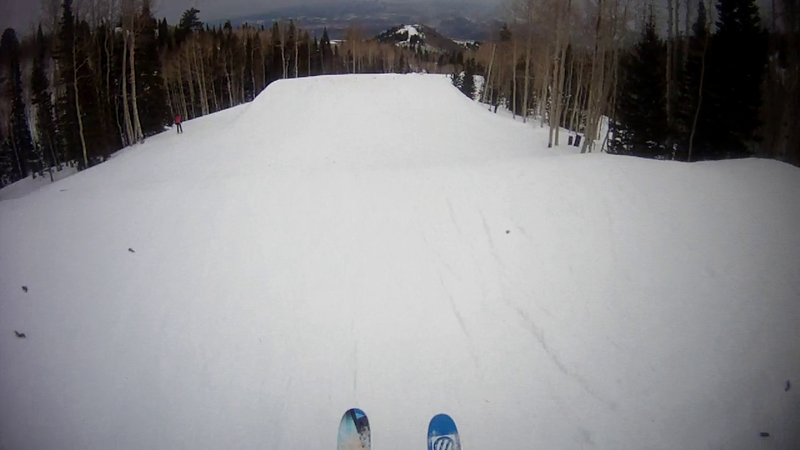 Unfortunately, my camera battery was super low, so I wasn’t able to get much more footage through the rest of that day, but we continued on through various blue square runs and ended the day with a speed run down Upper and Lower Boa. Fun times to be had all around! The next day was my birthday ski day. Since I had been sick the weekend around my birthday, I didn’t get a chance to go up to Solitude, but I really wanted to go with my best friend Levi from my hometown in Indiana. So even though I had skied all day on Friday, my only real chance to go again was on the next day, so that’s what we did. Waking up on Saturday morning, I noticed that there was a light dusting of fresh snow on the ground outside my house. Granted, I live up in higher elevations, and so I imagined the slopes got some fresh powder too, but I wasn’t expecting the 6-10″ of extra dry, extra soft powder available to us. Levi and I were in heaven, cutting fresh trails all around the mountain even after noon! Of course the first place I had to take him was to the broken down log cabin that I found with Dallin a few weeks earlier, but this time I went through window myself! Crouch Low through the Window! 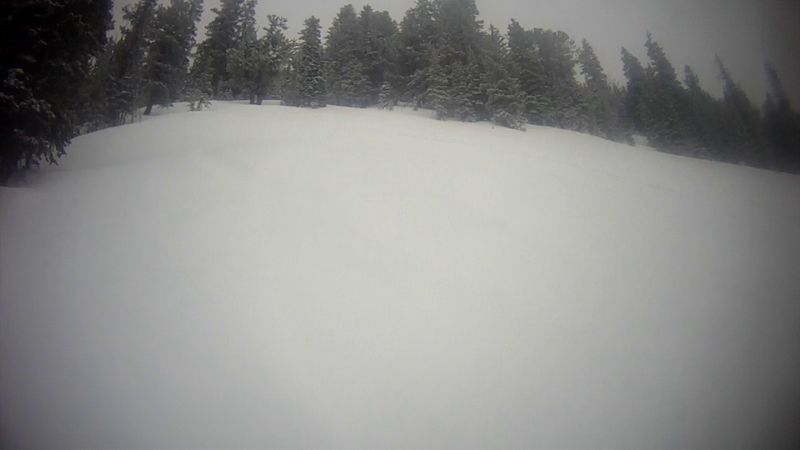 It may be hard to see, but this slope was purely untouched. If you look closely enough, you might be able to see the line I just carved out of that fresh powder, but it was incredible for us to keep finding such awesome runs even after noon!